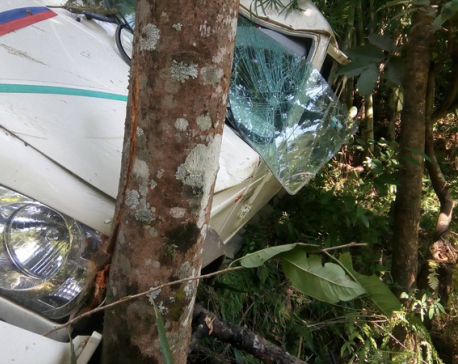 CHITWAN, March 26: Three persons were injured when a passenger minibus met with an accident along the Prithvi Highway on Monday night, police said. 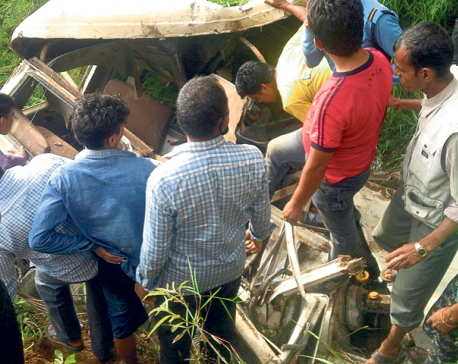 The accident occurred when the passenger bus (Na 5 Kha 3682) skidded off the highway and plunged into the Trishuli River at Ichchakamana Rural Municipality. Seriously injured Nisan Pariya has been receiving treatment at Old Medical College in Bharatpur. The driver and his associate are being treated at local medical centre, according to police.